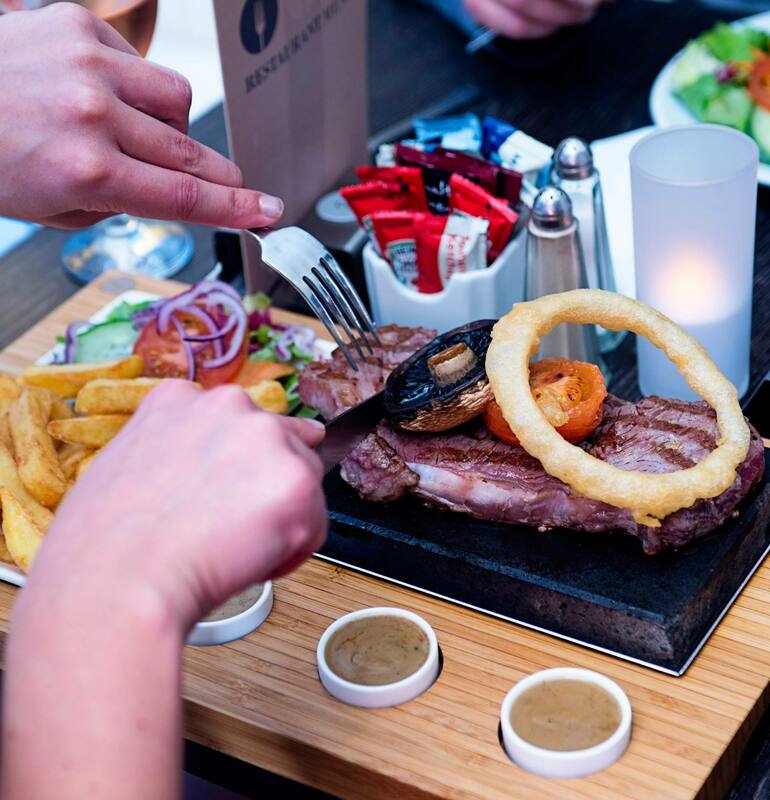 Blackpool Steakhouse serving steak on stone. All guests must be over 14 years of age due to hot stones. Booking highly recommended. We normally stay in fairly budget accomodation locally when we visit so we can eat out somewhere nice and not have to worry about cost. So the Stone Grill fitted that bill exactly and we weren't disappointed. We opted for starters followed by the Chateabriand ( we have ordered this cut previously elsewhere and it really didnt seem good value but this was excellent value for money) Accompanied by a lovely Merlot and a couple of beers for the OH we really enjoyed our night here. There is a Table d'hote style menu which includes a choice of some of what I imagine are some of the most popular menu items but we were quite happy with the A la carte otions. 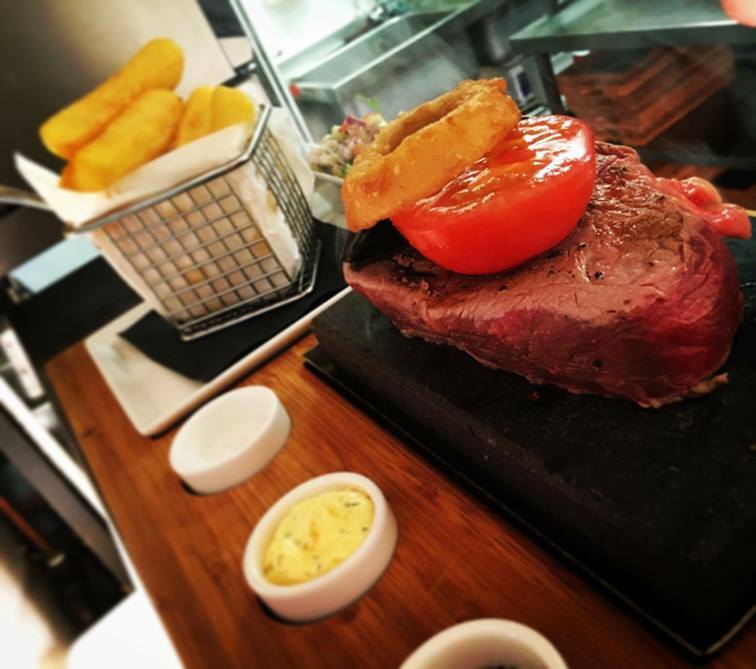 Of course the fun part of ordering steak on the Stone is being able to cook it yourself! as a result your meals do tend to come fairly quickly which I know is what some people prefer. If your not in a rush then you can linger after and we were offered the choice of moving to the comfy seats in the foyer. Im guessing when its busy this is preferable but on a quiet Monday evening we finished our drinks at the table. All in all it was a fab night and we would deffinitely return next time we are in the area. We had the most fabulous evening. The service, food and atmosphere all wonderful. We’ve eaten here several times before but things get better every time! Well done to all the staff for giving us a great night. Great atmosphere, the mixed meat platter is tremendous value for money, the experience is fun, entertaining and the meal is only as good as the chef (you!) . At busy times the restaurant's dinning area can set very hot, and a little smokey but with a hundred 400° volcanic bricks cooking your meal, that is difficult to avoid. Outstanding. Such a cool concept, executed perfectly. Jack was an absolute star on service, the lady from the bar also shone, great service made my girlfriend's birthday an awesome evening. No real extras for my boyfriends birthday apart from a pre printed cars which was disappointing. Not even a happy birthday from one member of staff. What an experience. Was excellent. Will be returning for sure! The half roast chicken was very small but otherwise the meals were very good. As usual from Wayne and all his staff at the Stone Grill a superb afternoon with great service and fantastic food. 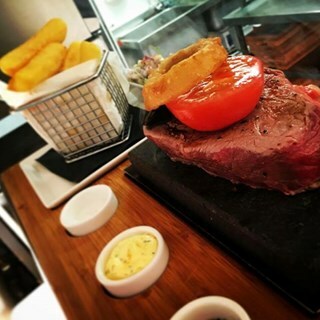 We were served firstly by Jack and then Gemma, both very friendly and as we were first time visitors to The Stone Grill they explained how the food would be served and were very attentive throughout our meal. I was pleased to hear that there is one opening inn Manchester which we will definatly recommend. Another superb meal out with the usual excellent food and service, only comment I would make is the portion size of the tuna is getting smaller and smaller to the point where I no longer consider it enough. If the cost of tuna is going up you should increase your prices to reflect this and not compromise on portion size. How about offering a smaller portion of tuna and a small piece of fillet steak as a "Surf & Turf" option? Nice atmosphere, good beer, great attentive service. A very pleasant evening. Will come back and we’ll let family and friends know.